Tension roller for A/C belt. Fits 911 Turbo models (1991-1994). A/C Compressor Conversion Kit (R12 or R134a). 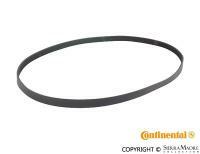 A/C compressor v belt for 911 Turbo models (6K x 1554mm). 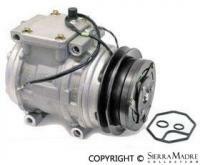 A/C compressor with clutch for C2/C4, 911 Turbo and 993 models (1989-1998). 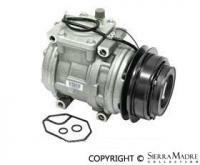 A/C compressor with clutch for C2/C4 models (1989-1994). Motor for A/C condenser blower assembly. Fits 964 and 993 (1989-1998) models. Auxiliary fan for front A/C condenser. 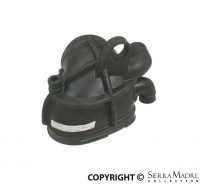 Fits C2/C2, 911 Turbo and 993 models (1989-1998). 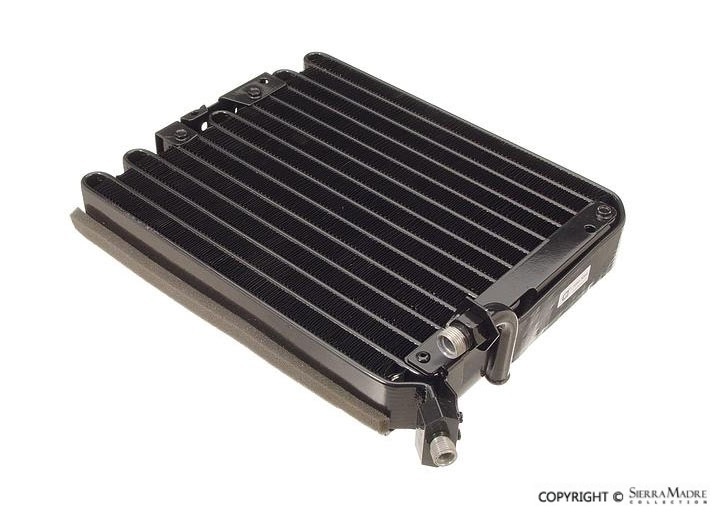 A/C Condenser for 911 (1990-1998) and 911 Carrera 4 (1989) models. A/C condenser for your 964 (1989-1998). 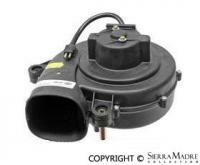 Left A/C evaporator blower motor for 964 (3.3-3.6) years 1988-1994 and 993 models (3.3-3.6) years 1993-1997. 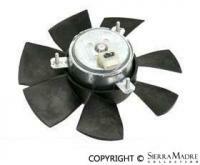 Right A/C evaporator blower motor for 964 (3.3-3.6) years 1988-1994 and 993 models (3.3-3.6) years 1993-1997. 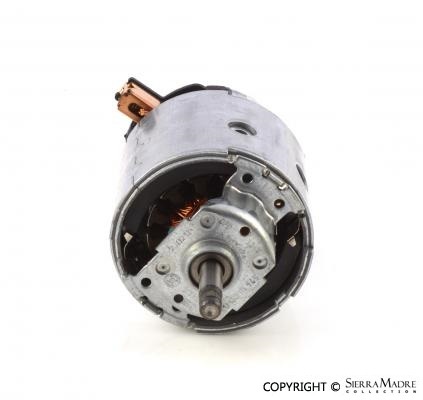 Evaporator fan motor for 1965-1984 models. 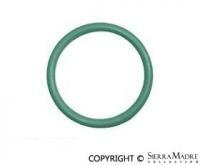 10.5 x 2mm O-ring for 911, 924, 928, 930, 944, and Boxster. 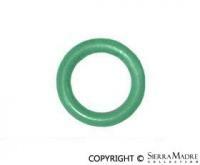 10.6 x 2mm o-ring for the A/C. 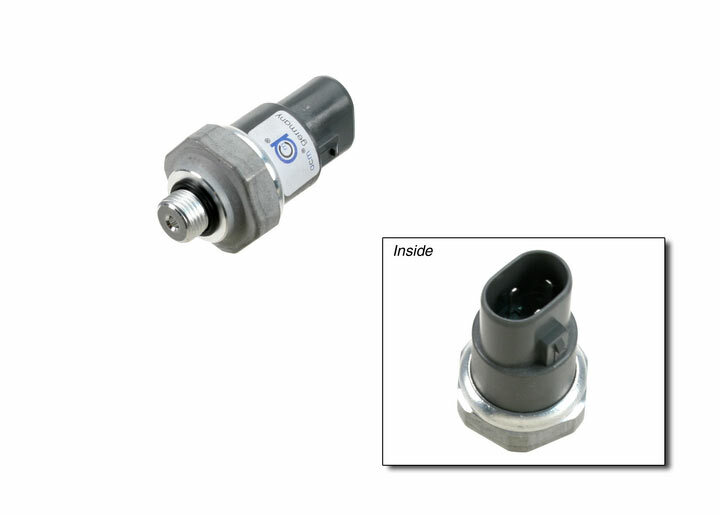 A/C Pressure Switch for 911 (1990-2004), 911 Carrera (2005), 911 Carrera 4 (1989), 911 Carrera 4S (2005) and Boxster (1997-2004) models. A/C receiver drier for C2/C4 models (1989-1992). 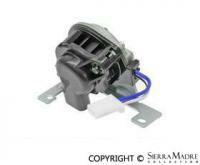 A/C receiver/drier for your 911, 928, Boxster, or Cayman. 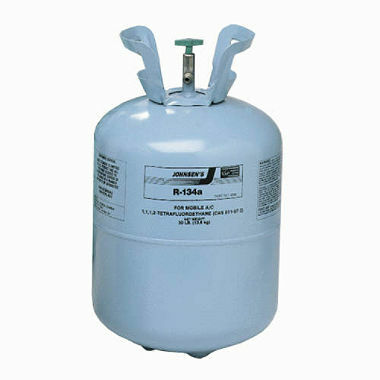 For use in factory installed and/or retrofitted R134a automotive air conditioning systems. 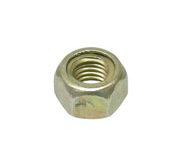 Includes standard ACME threaded cap. Certified to meet/exceed ARI 700 and SAE J2776 purity standards. Air conditioning service kit for 911 (1965-2009), 912 (1965-1969, 1976), 914 (1970-1976), 924 (1977-1982, 1987-1988), 928 (1978-1991, 1993-1995), 930 (1978-1979), 944 (1983-1991), 968 (1992-1995), Boxster (1997-2008), Cayenne (2003-2006, 2008) and Cayman (2006-2008). 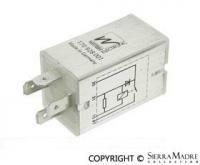 ABS relay for 928, 944, 968 and C2/C4 models (1986-1994). 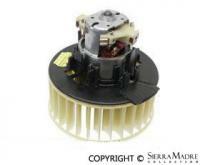 Actuator Motor for Air Temperature Mixing Flap for 911 (1990-1994) and 911 Carrera 4 (1989) modelsl. Actuator motor for defroster air flap. 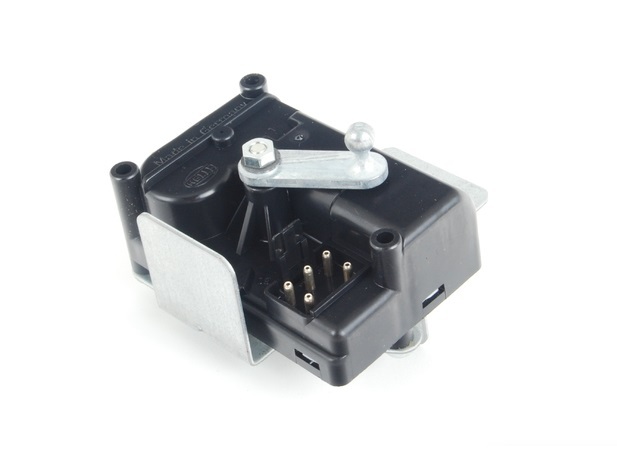 Fits C2/C4, 911 Turbo and 993 models (1989-1998). 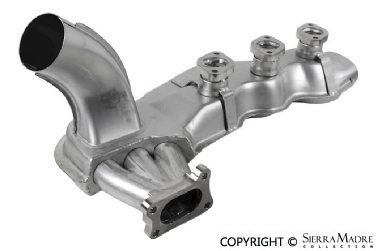 Air box inlet for 964 models. Years 1989-1994. Air cooler support for 911 (1978-1989) and C2/C4 (1989-1994) models. Rubber intake sleeve for air distributor to intake manifold. Fits C2 and C4 models (1990-1994). Six required. 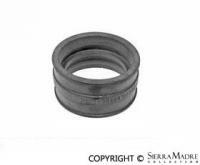 Air flow meter seal for 993 (1995-1998) models. Air injection cut off valve for 993, 996 and Boxster models (1995-1999). 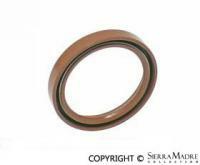 35 x 45 x 7mm air pump drive flange seal for 930 and 911 Turbo models (1976-1994). Air Temperature Sensor for Air Filter Housing for 911 Carrera (1995-1998), 911 Carrera 4 (1995-1998), 911 Carrera 4S (1996-1998), 911 Carrera S (1998) and 911 Targa (1996-1998) models. Air temperature sensor for climate control. 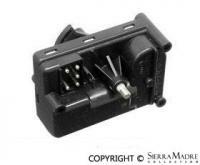 Fits C2/C4, 911 Turbo and 993 models (1989-1998). Air temperature sensor for intake manifold. 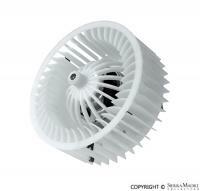 Fits 993/Turbo (1994-1998) models. 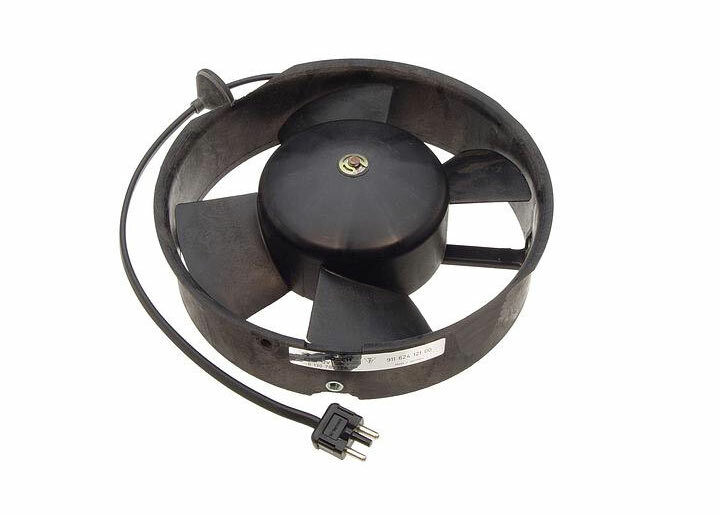 Auxiliary Fan for Front Oil Cooler for 911 (1984-1988), 911 Carrera (1989), 911 Speedster (1989) and 911 Turbo (1989) models. B and B turbo muffler for C2/C4 (1989-1994) models. Blower motor without housing for C2/C4 (1988-1994) and 993 (1993-1997) models. Increase your horsepower and torque with this hand welded muffler for 911 models. 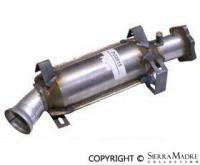 Catalytic converter for C2/C4 models (1989-1994). This item is C.A.R.B approved and able to be used in all 50 states. 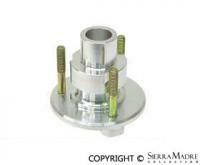 Change over valve for air injection for 993, 996, 997, Boxster and Cayman models (1995-2012). Two required. Check valve for 964 (1989-1994) models. 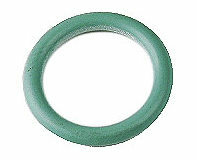 Compressor washer for 911, 924, 928, 944 and 964 (1976-1994) models. Measures 8.4mm. 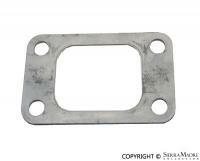 Gasket for crossover pipe to turbo inlet for 930 and 911 Turbo models (1976-1994). 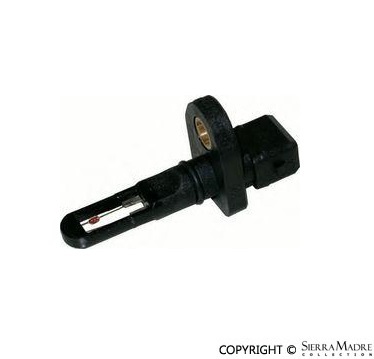 Cylinder head temperature sensor for 993 models (1995-1998). 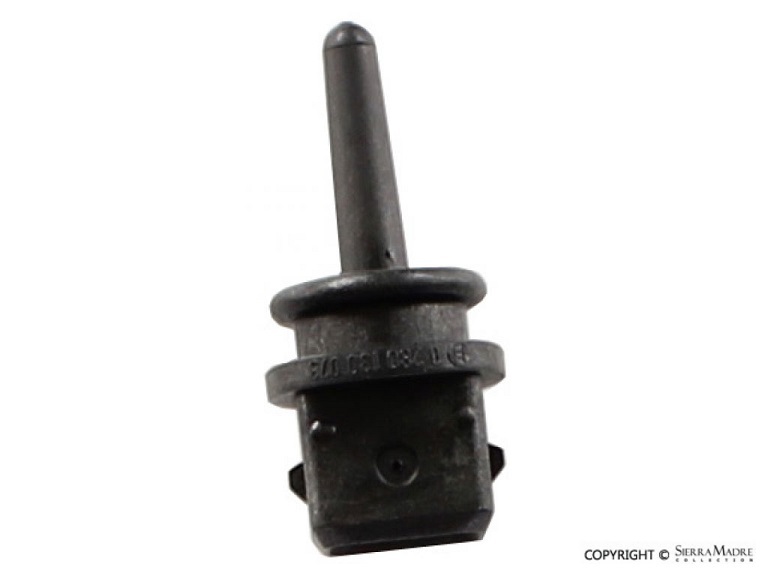 Cylinder head temperature sensor for C2/C4 models (1989-1994). 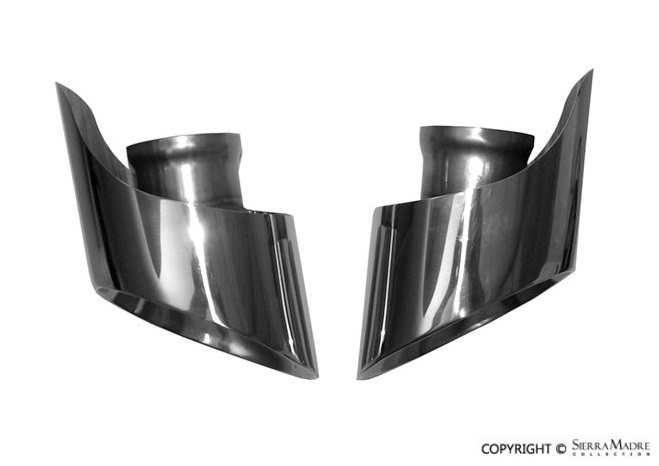 Dansk Exhaust Tail Pipe Set, Stainless Steel, 120 x 85 mm, for 993 Carrera 2/4 (1993-1997) models. Blower motor assembly for engine compartment. 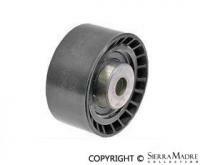 Fits C2/C4, 911 Turbo and 993 (1989-1998) models. 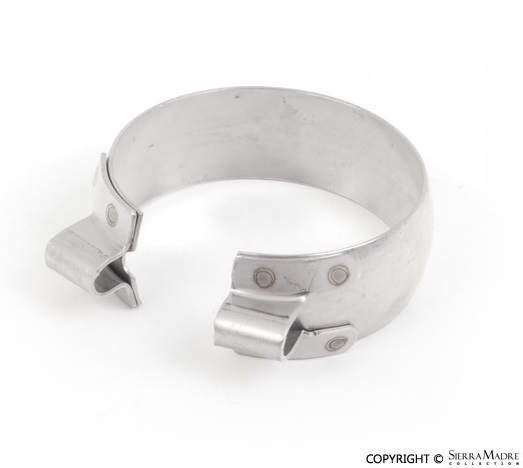 Exhaust clamp for for 964 and 968 (1989-1995) models. 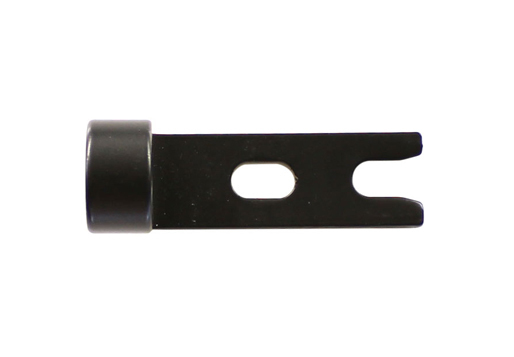 Exhaust clamp, catalyst/muffler/tip, for 911 Carrera (1995-1998), 911 Carrera 4 (1995-1998), 911 Carrera 4S (1996-1998), 911 Carrera S (1998) and 911 Targa (1996-1998) models. 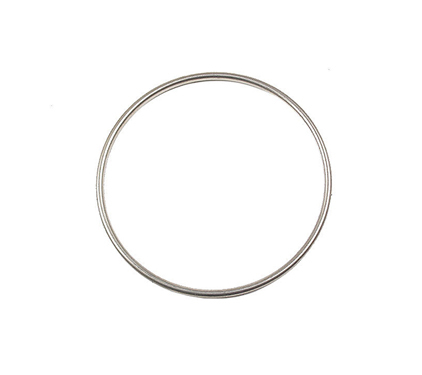 Exhaust emission tube for C2/C4 (1989-1994) models. 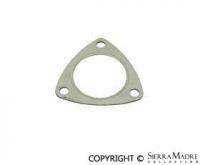 Exhaust flange gasket for 930 (1976-1989), 911 Turbo (1990-1994) and 924 Turbo (1979-1983). Two required. 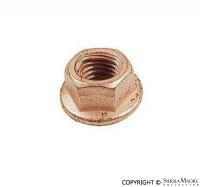 Lock nut for exhaust manifold fits 911, 930, 911 Turbo, C2 and C4 models. Measures 8mm x 13mm. Twelve required. 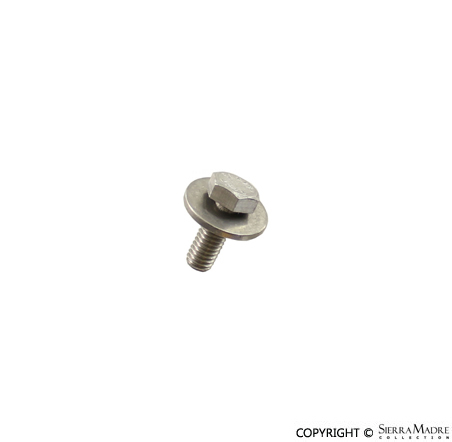 Exhaust manifold stud for 911 and 911 Turbo models (1980-1994). Twelve required. 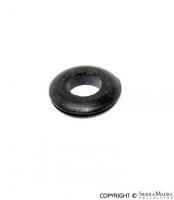 Exhaust manifold studs for C2/C4, 911 Turbo and 993 models (1989-1998). Twelve required. 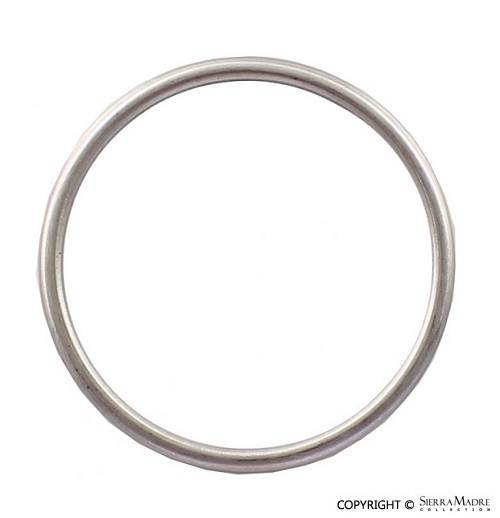 Exhaust seal ring from muffler to catalyst and muffler to tip for 993 models (1995-1998). 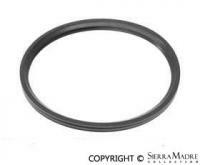 Exhaust seal ring from center muffler to rear muffler for 928 models (1978-1995). 993 models require four and 928 models require two. Exhaust restrain strap for C2/C4 (1989-1994) models. Two needed. 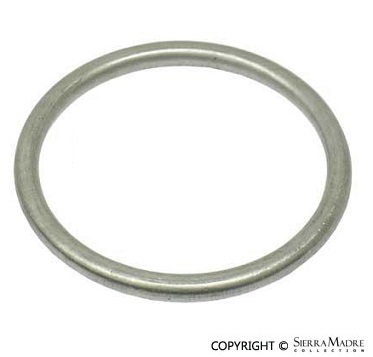 Exhaust Seal Ring, Heat Exchanger to Head, for 911 Turbo (1991-1994) models. 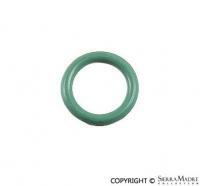 Exhaust seal ring from heat exchanger to head. 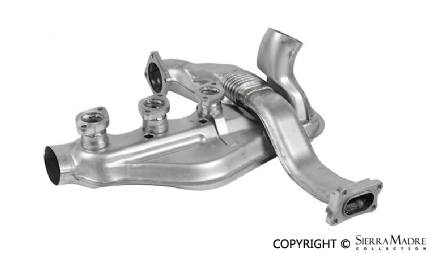 Fits 924 Turbo, 944 Turbo, C2/C4 and 993 models (1980-1998). Please note the 924 Turbo model requires two and the 944 Turbo requires one. All other models require six. 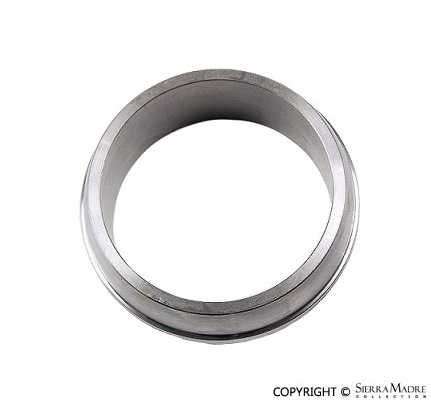 Exhaust seal ring from catalyst to primary muffler, primary muffler to final muffler and final muffler to tip. Fits 968, C2/C4 and 911 Turbo models (1989-1995). Three required. 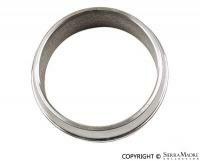 Exhaust seal ring for 993 Turbo (1996-1997) Turbo models. 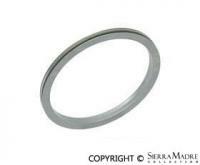 Exhaust Seal Ring, Heat Exchanger to Turbo, for 911 Turbo (1996-1997) models. 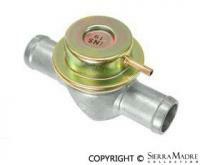 Expansion Valve for 911 (1984-1988), 911 Carrera (1989), 911 Speedster (1989) and 911 Turbo (1989) models. 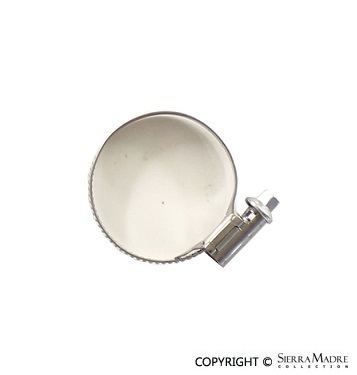 A/C expansion valve for 911 and 928 models. 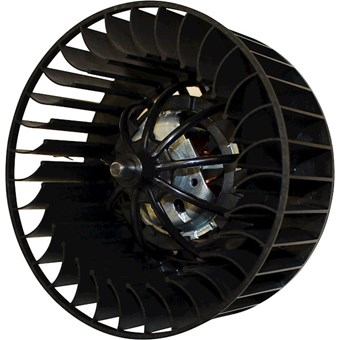 Fan hub with bearing for engine cooling fan. Fits 993 European "RS" models (1995-1996). 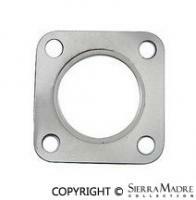 Exhaust gasket for heat exchanger to heat exchanger for C2/C4 models (1989-1994). 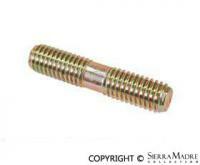 Hexagon headed heat exchanger bolt to muffler on 911 (1965-1989) and 964(1989-1994) models. Four required. 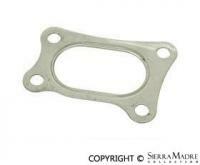 Heat exchanger outlet gasket from exhaust manifold to catalyst. Fits 928 and 993 models (1978-1998). Please note this item only fits models with a Gillet (round) exhaust. Two required. Stainless steel heat exchanger for the left side of 964 (1988-1994) models. 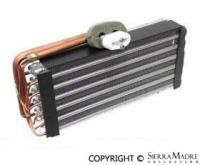 Stainless steel heat exchanger for the right side of 964 (1988-1994) models. Exhaust heat shield for 911 (1978-1989) and C2/C4 (1989-1994) models. 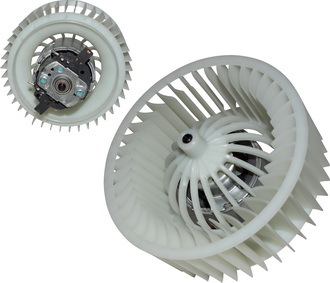 Blower motor with wheel and cage for the engine compartment heater on 964 and 993 models (1989-1998). 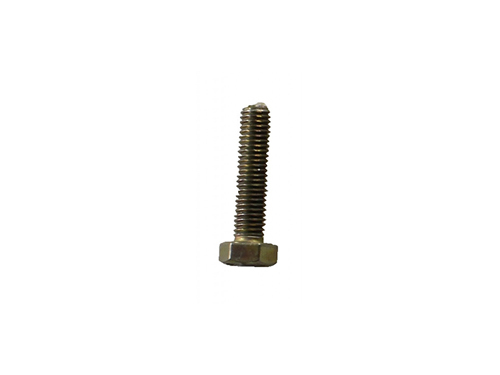 Hexagon head screw for C2/C4 (1989-1994) models. Measures 6mm x 16mm. Two required. Hexagon head screw for C2/C4 (1989-1994) models. Measures 8mm x 10mm. 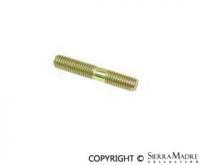 Hexagon head bolt for all 356's, 911, 914, 924S, 928, C2/C4 and 993 models. Hexagon head screw for C2/C4 (1989-1994) and 993 (1994-1998) models. 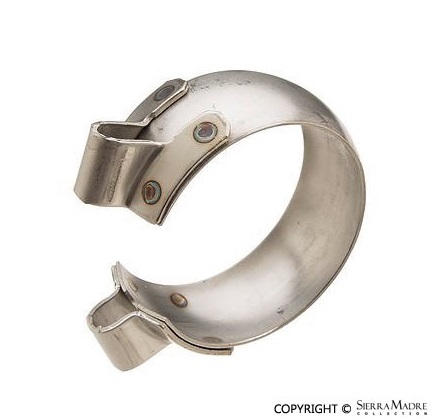 Hose screw clamp for 911 (1989-1994), 924 (1986-1988), 944 (1985-1991) and 968 (1992-1995) models.